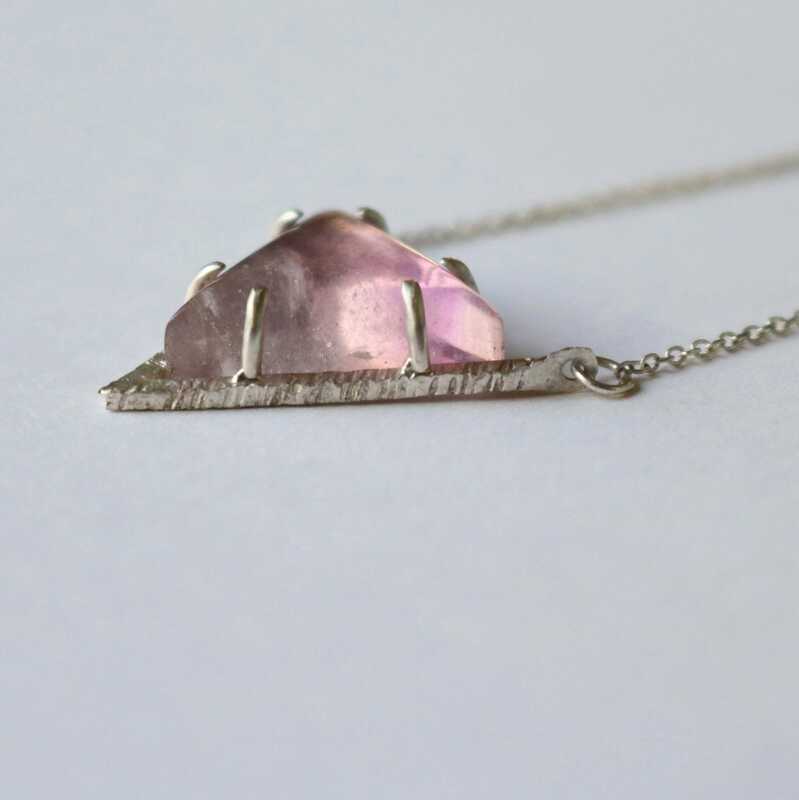 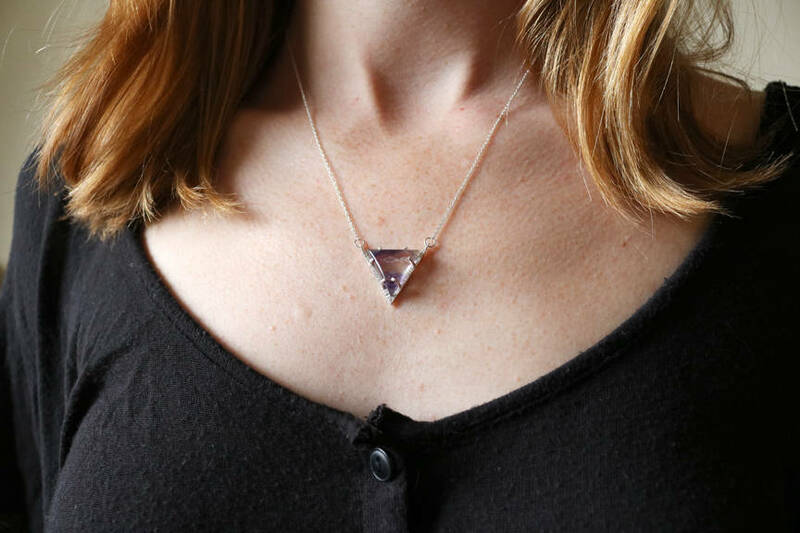 This hammered silver pendant features a 15mm triangle cut purple Fluorite cabochon. 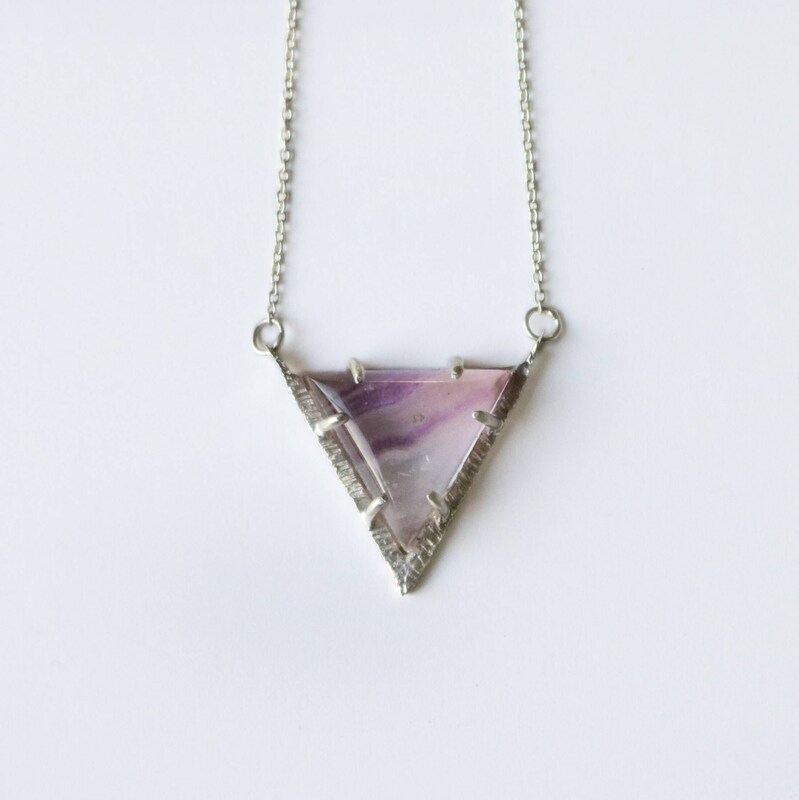 Absolutely love this necklace. 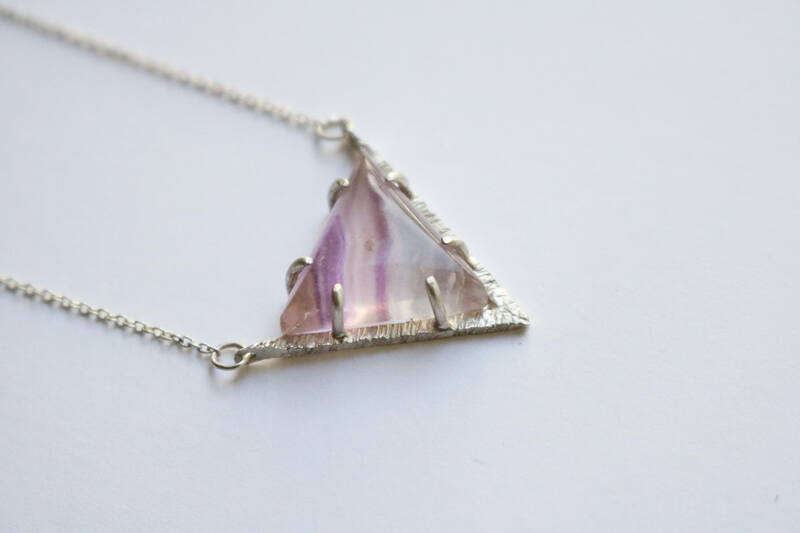 Very delicate and the stone is such a beautiful color!